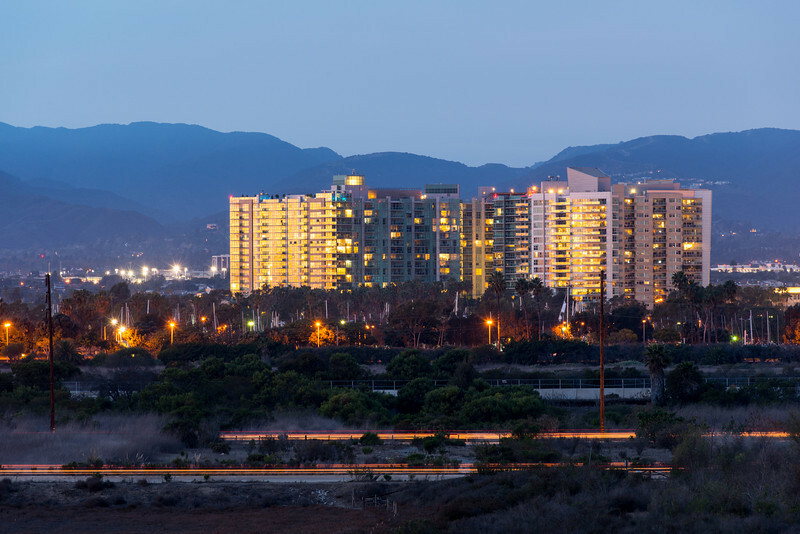 A view of some luxury condos in Marina del Rey at dusk. The cars in the foreground are driving on Jefferson and Culver boulevards, through the Ballona Creek wetlands, which used to include Marina del Rey, before they built the marina. I don't think many people realize that these days.